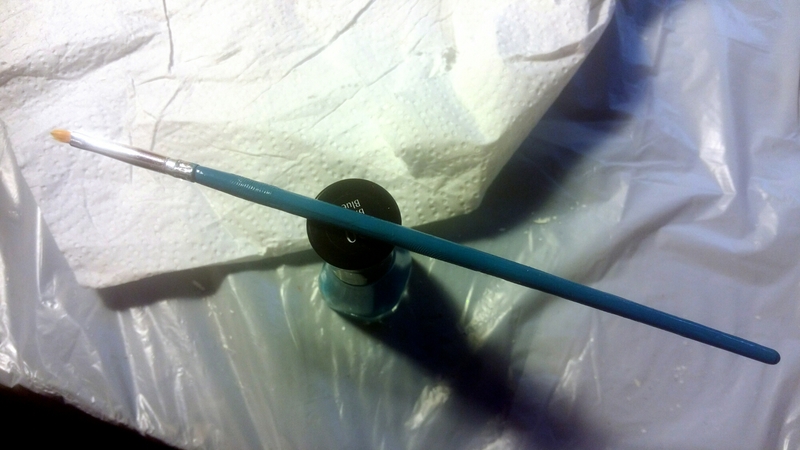 This is a cheap brush but I like it and it gets a lot of miles. 1. Let it dry out completely. 2. peel and sand handle. 3. Paint the handle with nail polish. 4. Reattach and crimp the ferrule. Swamp brush lives to paint another day!